Its time to showcase your witch powers and get maximum attention from the crowd. 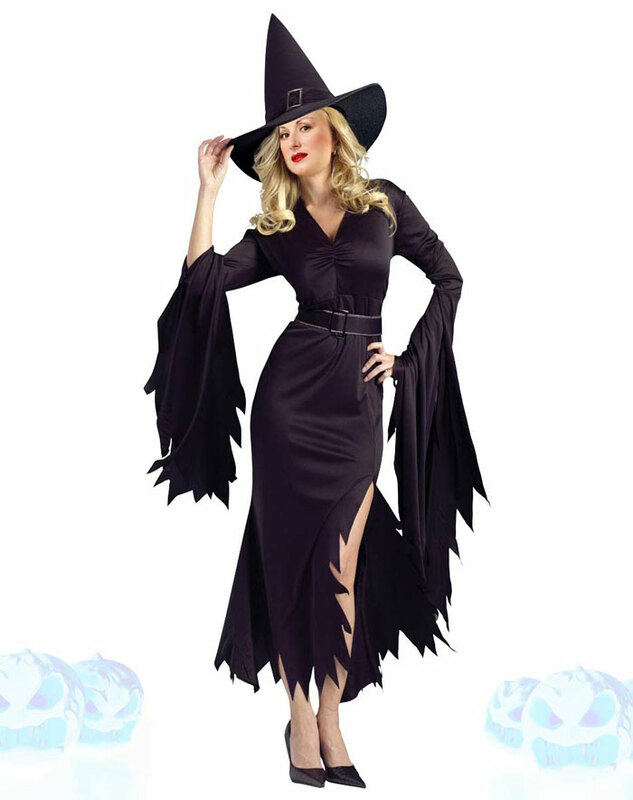 This beautifully designed witch style outfit features full length draped sleeves with fitted bodice and a classy belt. The high slit pattern looks amazing with well defined cuts on the hem line. Note: - Accessories not included.